Enjoy a fascinating trip through Laos and Cambodia, with a cruise along the Mekong River being the starting point on a voyage that will feature the opportunity to admire scenes of unbelievable beauty, to explore the history and culture of two of Asia’s most popular destinations and to create memories that will last a lifetime. Arrive in Chiang Rai where a guide will be waiting to transfer you to your overnight accommodation. The remainder of the day can be enjoyed at leisure ahead of an early start to day two. You’ll rise early to grab breakfast and check out by 0600 in order to cross the border from Thailand over to Laos. A guide will assist when it comes to the immigration process before you then board a private slow boat for a two day cruise down the famous Mekong River. Lunch will be served onboard as you sail along the river, stopping off to visit to a local hill tribe village before arriving in Pakbeng. As well as enjoying the laid back atmosphere of the town, you’ll be in the perfect place to watch the sunset along the Mekong from your balcony. A trip to a local market is perfect for the early rises before breakfast and the resumption of your journey along the Mekong. Leaving Pakbeng behind, you’ll pay a visit to the village of Ban Baw to observe the processing of traditional rice alcohol before getting back onboard for a traditional lunch. 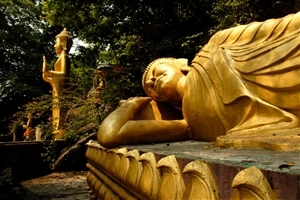 Next up is a visit to the Pak Ou Caves; carved from the giant limestone cliffs and home to thousands of Buddha figures. 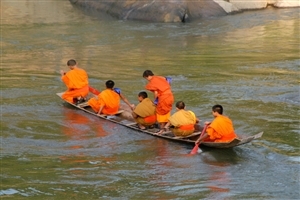 A further two hour cruise will then take you on to Luang Prabang and the end of your cruise. Early risers can enjoy the unique experience of seeing monks collecting their alms before returning to the hotel in time for breakfast. You’ll then spend a day exploring the UNESCO World Heritage Site, with visits to the Royal Palace, Wat Mai, Wat Xieng Thong and the Traditional Arts Ethnology Centre. You can also enjoy a game of petanque with the locals before heading to the Tamarind Cooking School for a cookery class that will teach you all about Lao cuisine. In fact, it is your creation that will become your dinner this evening. After breakfast at your hotel, you’ll travel through the beautiful Lao landscape past rice fields, hills and through villages to the impressive Kuang Si Waterfalls. En-route, a village stop will give an insight into local life. On arrival at the falls, you can take a refreshing dip in one of the turquoise blue plunge pools, take a walk into the jungle surroundings or hike to the top of the falls to take in stunning views. You could also visit the nearby bear sanctuary, which houses Asiatic black bears saved from poachers. The rest of the day is yours at leisure on return to Luang Prabang. After breakfast at your hotel, you’ll have time at leisure during the morning before a private transfer to the airport to take a flight to Vientiane. On arrival, you’ll be taken to your hotel to check in before time at leisure to start exploring the sights around the Lao capital. Today you’ll have chance to explore one of the quietest capital cities in the world away from the hustle and bustle that tends to be associated with the large Asian capitals. Starting out at that Wat Sisaket temple, you’ll also visit the religious museum at Wat Phra Keo, climb the stairs of the Patuxay monument to look out across the city and call in at the holy site of That Luang. After a visit to a special centre created to aid those affected by the impact of landmines, you’ll spend the evening at a local home to witness a traditional Baci ceremony. After breakfast in the hotel, your guide will greet you for the transfer to the airport to board a flight that takes you out of Laos and onwards to the Cambodian capital Phnom Penh. 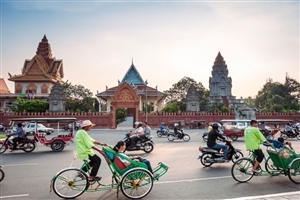 After checking in to your hotel, you’ll then head out with a guide in a traditional Cyclo to start exploring the city – travelling through the French quarter before heading onwards to Wat Phnom on the only hill in the city. Your evening is then spent at leisure. A day exploring the capital begins with a trip to the Royal Palace, which dates back to the 1860s and is famed for the Silver Pagoda; so called for the huge silver tiles that cover its floor. You’ll then have chance to view the world’s foremost collection of Khmer artefacts at the National Museum and visit both the Child Safe Centre and the Central Market before a break back your hotel. In the afternoon, you’ll then embark on a trip to explore the dark and troubled recent history of the Cambodian people; starting with a visit to the Tuol Sleng Genocide Museum. Located in a former school, the museum is housed in what was the main detention and torture centre for the Khmer Rouge and your visit is followed by a trip to the Killing Fields of Choeung Ek. 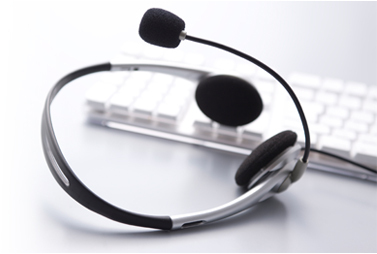 An audio headset will provide harrowing but informative tales from survivors of the camp giving a better understanding of Cambodia and what its people went through. Leaving the capital behind, you’ll head towards the pre-Angkorian site of Sambor Prei Kuk – where more than 100 temples are found scattered across the forest. You’ll have chance to walk through the trees as you explore the site and will spend time in a local village to observe the local production of a range of crafts. Lunch will be provided near the temple by the local community, providing the opportunity to contribute to the sustainability of the region. You’ll then continue on to you accommodation in Kampong Thom. After breakfast at your hotel, you’ll hit the road to make the journey to Siem Reap and the famed temples of Angkor. On the way, you’ll stop off at the Khmer-era Spean Praptos Bridge and also take in a boat trip out onto the Tonle Sap Lake; the largest freshwater lake in South East Asia. You’ll visit the village of Kampong Kleang and cruise between the stilted houses where the local fishermen live, with lunch taking the form of a packed lunch from your hotel which can be enjoyed in a local house. 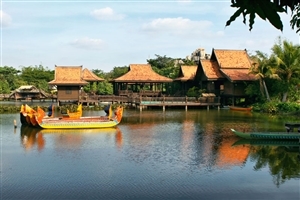 On arrival in Siem Reap, the remainder of the day can be spent at leisure. Travelling in a remork – similar to the Thai tuk tuk – you’ll head out to explore the Angkorian temples starting out with the most famous of them all; Angkor Wat. Built in the early 12th century, the temple is an important symbol for the Khmer people and features on the Cambodian national flag. From here, you’ll head for the ancient city of Angkor Thom, entering the city walls through the impressively designed South Gate before exploring the Bayon Temple in the exact centre of the city. The Terrace of the Elephants and the Terrace of the Leper King will also be visited before heading back to your hotel for a mid-day break. In the afternoon, you’ll visit the temples of the Grand Circuit; culminating in a trip to Ta Phrom. Unique in that it has been left largely as it was found, the temple is overgrown by trees and vines, making it one of the more picturesque temples you can visit during your time in Cambodia. You’ll then return to your hotel for a well-earned rest at the conclusion of a busy day. Following breakfast, you’ll head out through the countryside to visit Beng Mealea; a temple which has been reclaimed by nature and is completely unrestored. You’ll be able to climb through the remains and gain a sense of adventure before a packed lunch in a local house nearby. After your break, it’s onwards to Banteay Srei, where some of the best examples of classical Khmer art can be found within a unique temple built from pink sandstone. You’ll also call in at Banteay Samre before heading back to Siem Reap. Check out of your hotel and head for the airport for your departure flight.